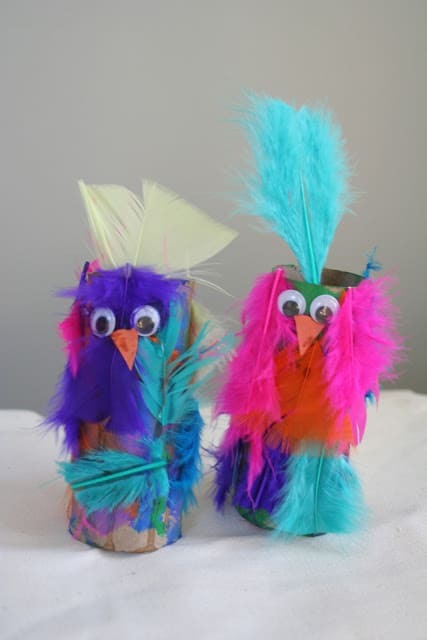 Craft feathers are so colorful and fun and can be used for all sorts of different crafting activities. 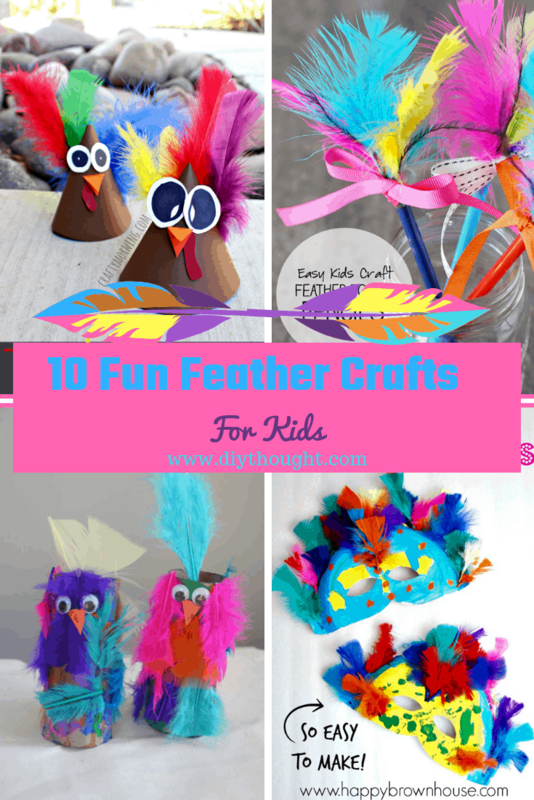 Today we are sharing 10 fun feather crafts for kids. 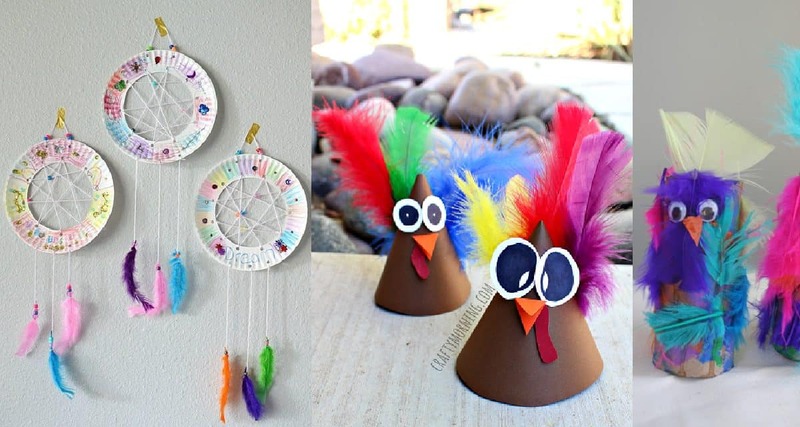 These crafts are certain to keep kids busy and happy as well as putting your craft feathers to good use! 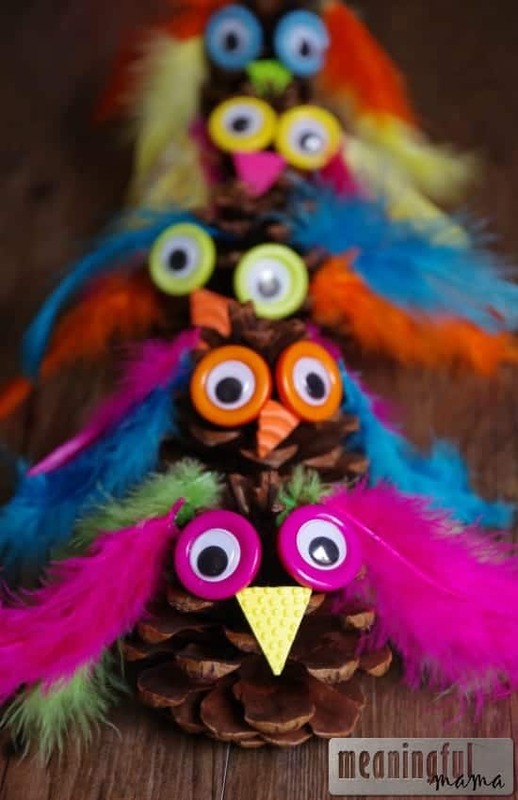 Collect some pinecones and turn them into adorable owls with feather wings! Visit Meaningful Mama to read the full tutorial. 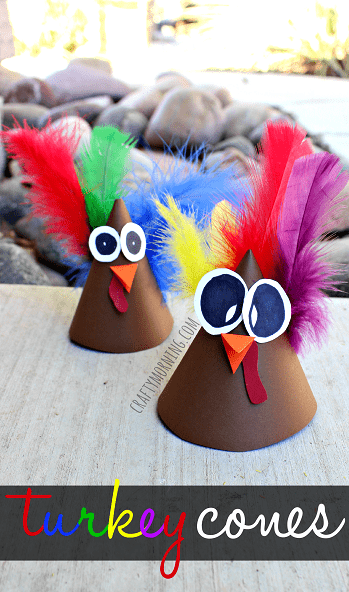 The perfect Thanksgiving craft, these turkey cones are cute and simple to make. Visit Crafty Morning to find out more. Have good dreams with the help of a dream catcher. 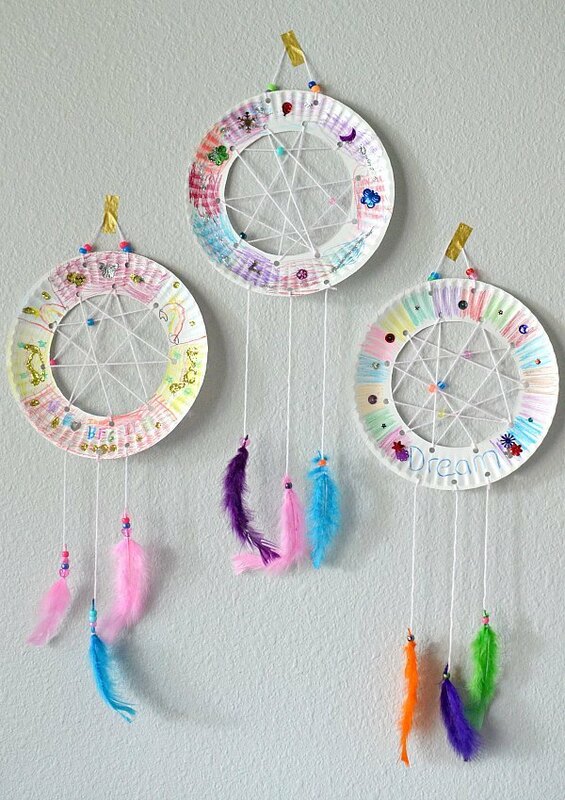 We love the idea of kids making their own and the feathers really finish off the dream catcher perfectly. Click here to read the full tutorial. Beading and jewelry making is fun and great for fine motor development. Adding feather takes it to a new level of awesome! Follow this link to find out more. We love handprint crafts! 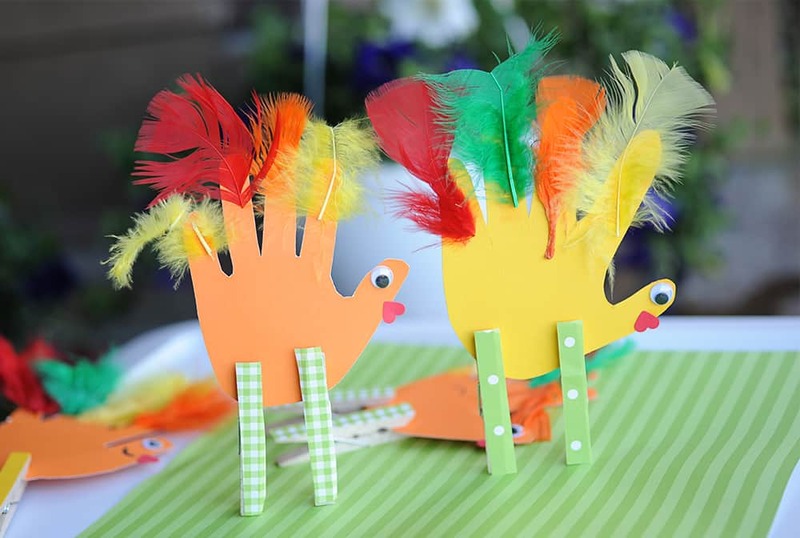 These cute turkeys would make great gifts for the grandparents. Source found here. 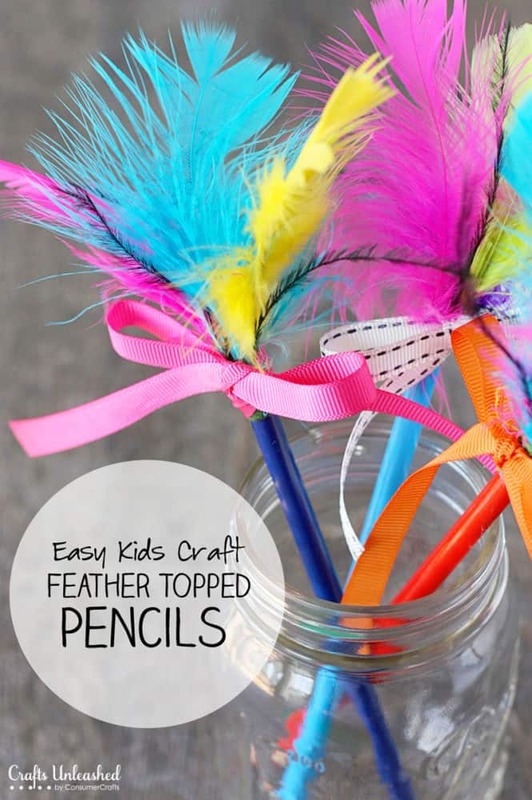 Bling up your pencils with this cool feather craft. This is a simple way to add some unique style to your stationery. Head over to Crafts Unleashed to find out more. 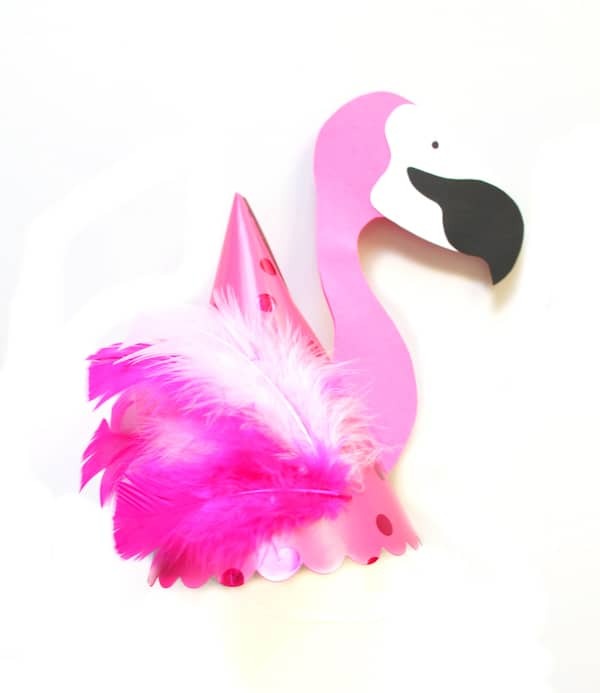 Transform a party hat into a flamingo hat by adding feathers and a flamingo head. Perfect for your next party or just because you love flamingos! Follow this link to find out more. Aren’t these guys adorable! 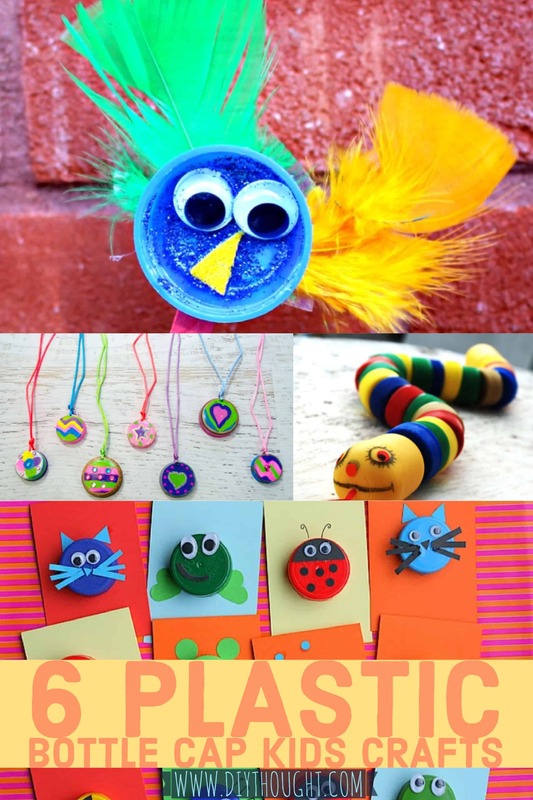 This is a great craft which is suitable for all ages. Visit Little Page Turners to find out more. 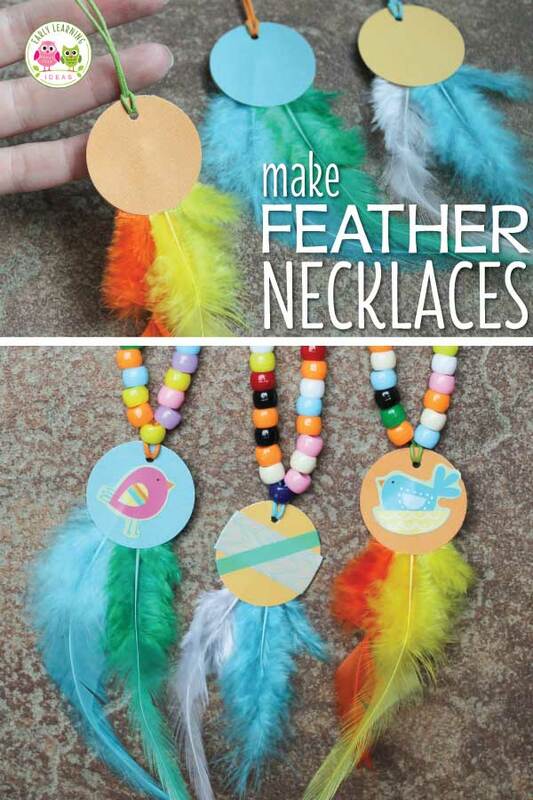 Another feather bird craft that is great for all ages! 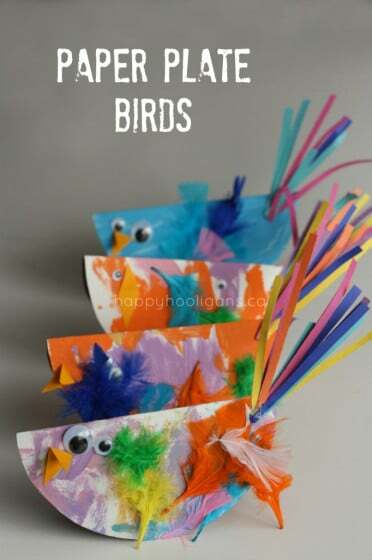 We love the simplicity of this craft and know that it will be loved by kids. Click here to get the full tutorial. 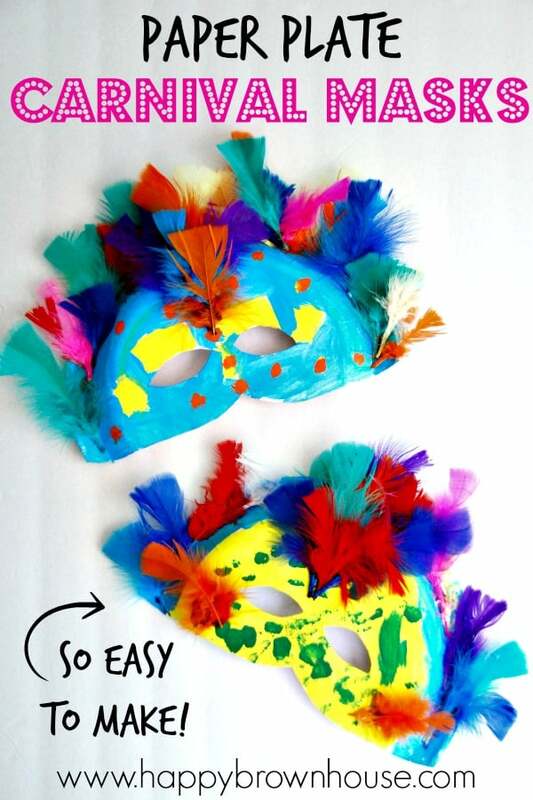 This amazing mask is made from paper plates, paint, and feathers. A great opportunity to get creative! Visit Happy Brown House to find out more.